Brown Thomas - Time for the Winter Sale - now on in store! ENJOY UP TO 50% OFF AT BROWN THOMAS! Elbows at the ready! 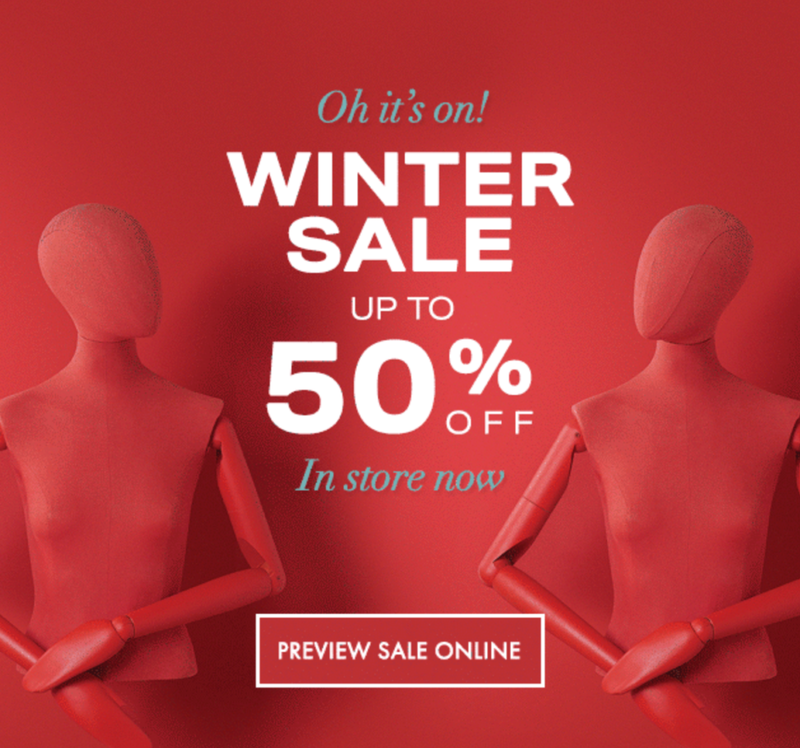 The incredible Winter Sale is now on in store, preview sale online and shop from 9pm tonight. Exclusions apply.